Winter in Washington DC can mean almost anything. One day it’s freezing cold, the next it’s mid 50’s. 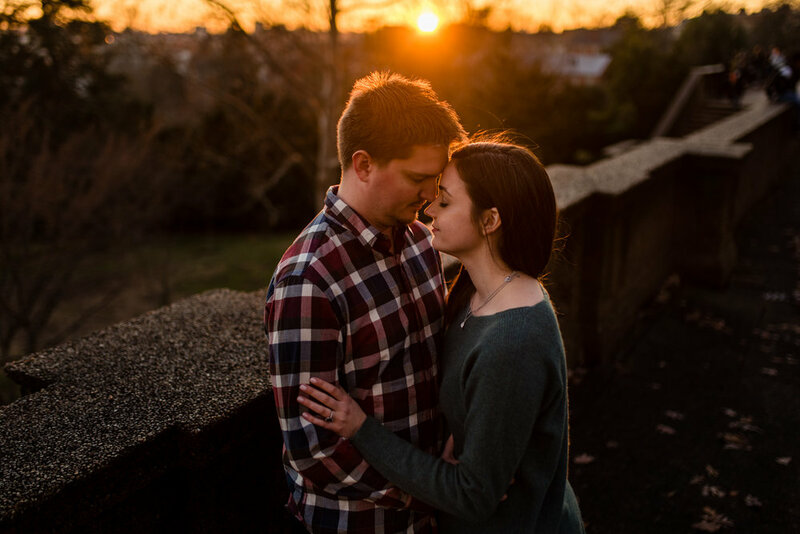 Fortunately, Joey and Caroline’s engagement session landed on one of the most beautiful winter days we’ve had all year. 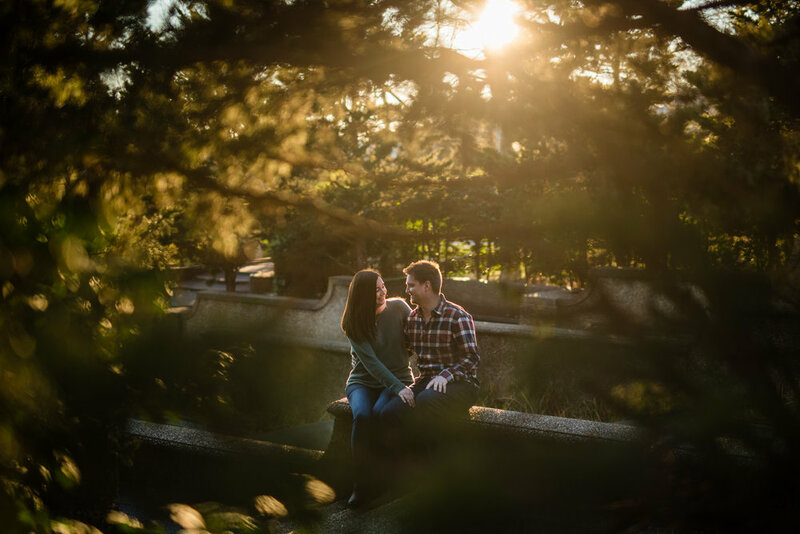 The sun cast warm golden light and we were able to enjoy a variety of areas between Dupont Circle and Meridian Hill Park. I first met Caroline when she was a bridesmaid for JJ and Sarah’s wedding back in June. What comes back to my memory first is her and the bridesmaids’ helpfulness throughout the day and their dramatic entrance into the reception! These are fun, sweet people who care about others. Meeting Joey and Caroline together meant that I got to see this again in a very personal way. 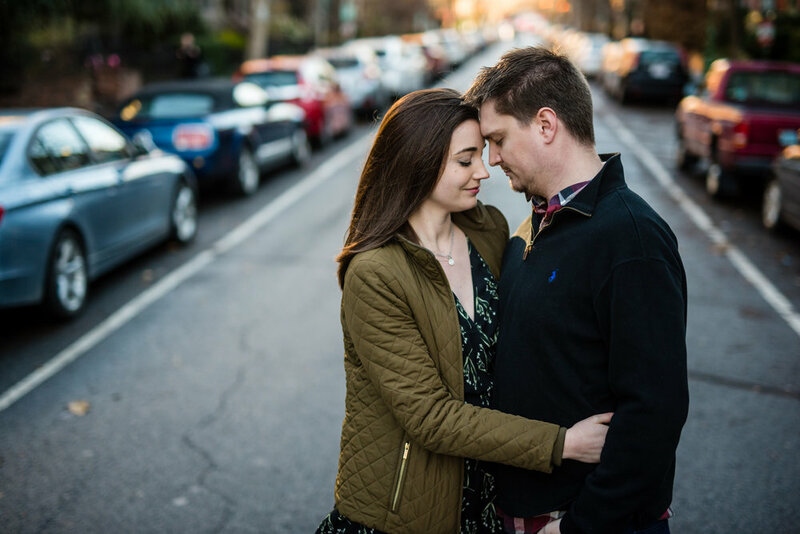 Their relationship started over flag football and continued with their first date at a restaurant in Dupont Circle. They share a love of animals and nature but also wanted to feature DC, the place where they started their relationship. We found plenty of interesting nooks to do this in Dupont and Meridian Hill Park. 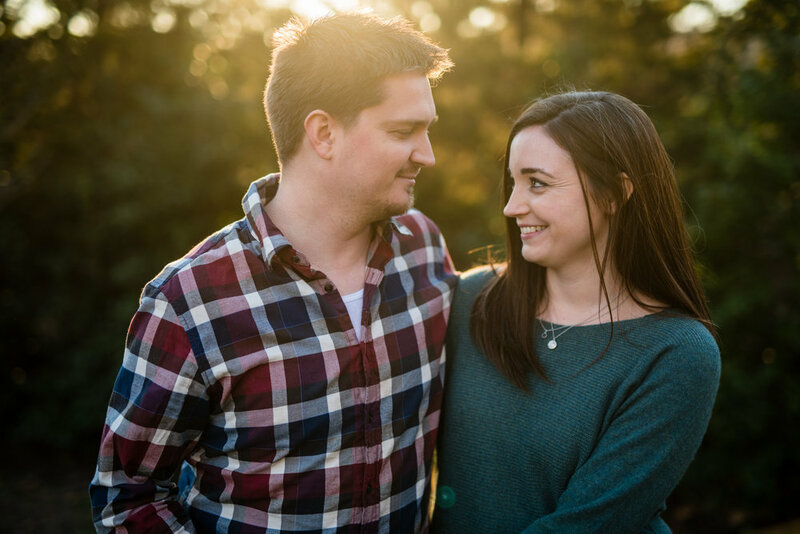 After their engagement session I am even more excited to capture their fall wedding up this year at River Farm. Enjoy their photo story below! Should you buy a wedding album?